Though the exhibit floor didn’t open up until Wednesday, there were talks and round tables happening all week at the Moscone Center. While I made a concerted effort to attend talks outside of my comfort zones, If I wanted to, I could have filled my schedule to the brim with audio specific ones. Though I spent most of my time later on in the week on the expo floor, I made sure to attend the Bootcamp. Nestled inside the jam-packed audio lineup was the Audio Bootcamp on Tuesday. Going on 17 years at GDC, the Audio Bootcamp focused less on specific games or companies and more on general topics such as the basics of audio programming, crafting a convincing reel, and helpful tools and techniques used in the industry. Other noteworthy events were the music and sound design Demo Derbies, where professionals listened to and critiqued as many reels as time allowed in front of a packed room. Though I didn’t have time to attend this year, I had both my music and sound design reel reviewed last year and it was an incredibly informative experience. You can purchase a subscription to the GDC Vault to watch all of the talks that occurred, though they have a fairly large collection that you can watch for free as well. The Game Audio Network Guild (G.A.N.G) is a professional organization created to help support and advocate for the different areas of audio in the game industry. With networking events, discounts for audio related tools & events, and educational opportunities, the guild is an excellent resource. On Thursday of that week, they held their annual award ceremony in which members of the community voted on their favorite topics that ranged from best overall audio in a game to best game audio article of the year. I volunteered at the event this year, helping the committee set up the physical awards and handing them off to the presenters. One of the best parts about the award though is that anybody was welcome to attend! There was no GDC pass needed for the award show, opening the event for anybody interested in celebrating the best that the industry had to offer and giving thanks to those who support it. You can read about the whole event here with all of the winners listed here. On top of official conference events, there were a multitude of meetings that were planned and attended by those involved in audio throughout the week. These include (I’ll try to keep this brief): Morning coffee podcasts, The lunchtime micro-talks known as CarasoulCon, karaoke, one-on-ones and group meetings set up for new members to talk with veterans, and a multiple networking events held every night starting on the Sunday before the conference even officially began. Like I said before, you could attend the whole of GDC and only interact with composers, sound designers, dialogue editors, etc. if you really wanted to. Getting a foot into the door of the game industry can be quite the formidable task, and attending a conference with 28,000 other people is terrifying, to say the least. Luckily for audio professionals, there’s a already a warm and accepting community built in to help you ease into the bigger world of games. I am incredibly grateful for all of the support that I was given from that community when I attended my second GDC, and can’t wait for my next one! 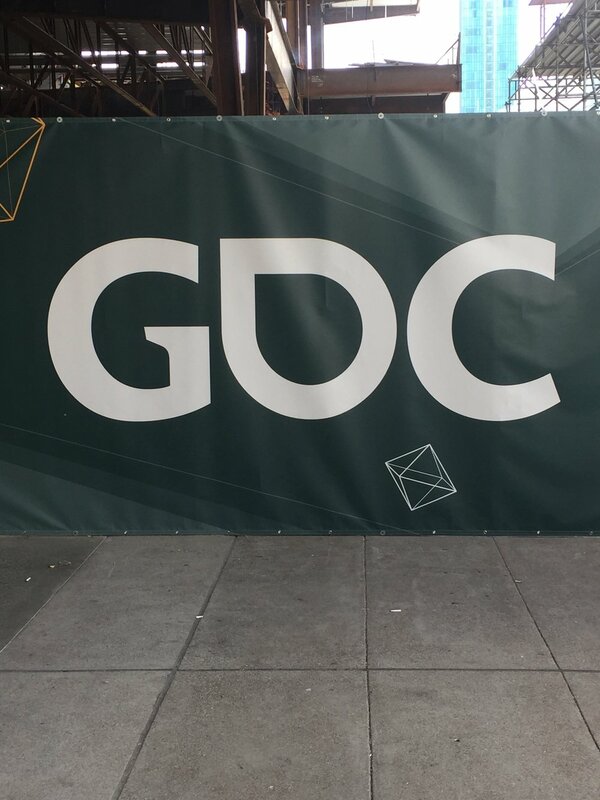 What are your experiences with audio at GDC? Let us know in the comments?